We adore anything stationery and we always make a point of keeping our eyes open for any new trends cropping up around Pinterest and wedding blogs. One such trend experiencing a revival is the silhouette trend. Silhouettes add a really simple and personal touch to your invitations. 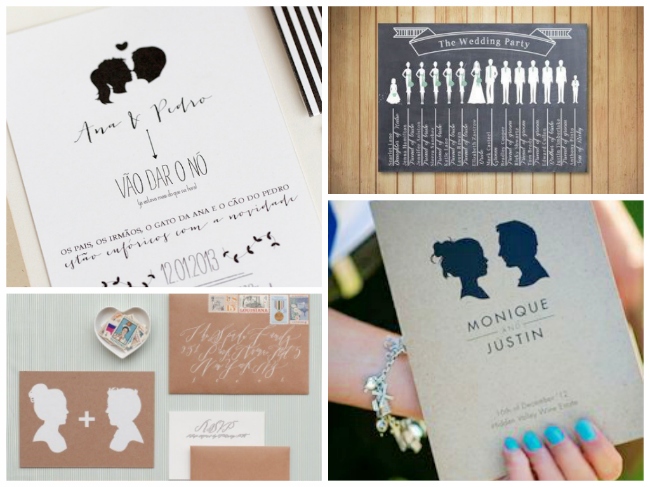 Better than that, they're an easy theme to bring right across your entire wedding stationery suite too. Take a look at some of our favourites below! Get your silhouette traced! 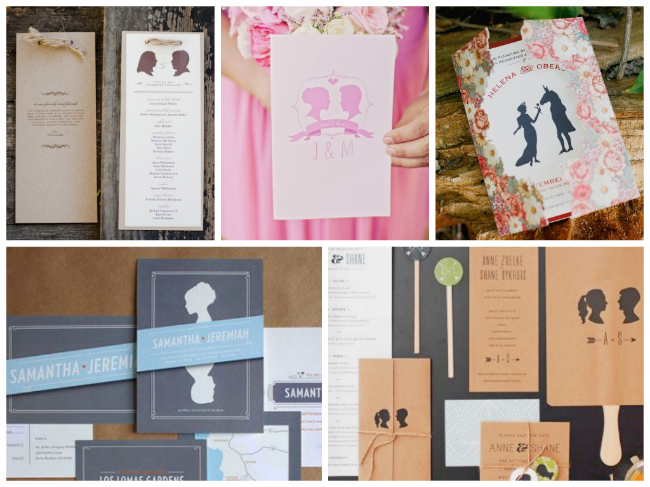 Simply take a side profile, close up photograph of yourself and hand it over to your stationery designers. If they know what they're doing, creating a silhouette should be fairly simple! Decide on a colour scheme. This trend works best with two contrasting colours. We also thinking creating a silhouette out of a floral pattern could be really fun too! Decide where else you might want to use your silhouette and inform your designer before they begin designing. It will be useful for them to know how you plan on using the silhouette before they start on your work!